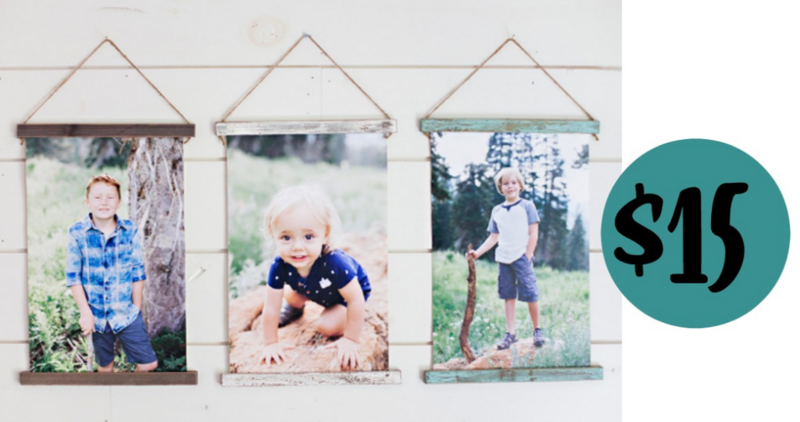 PhotoBarn is offering a $15 8×12 Hanging Canvas plus free shipping, no coupon code needed. Print your image directly on to high quality canvas and display them with our unique wooden hanging rails. Choose from 3 hanging rail colors: barnwood, white wash, and sky blue. These could be great gift ideas too! Offer valid through 5/22. Shipping is free.